Do you think before you sew? Naturally we are all thinking constantly, while eating and walking, while reading and baking and while sewing. Contrary to some meditation teachers our brain cannot stop to think while it is alive. Nevertheless, although I am alive during sewing (mostily) my sewing is not always well considered. But wait… two thirds of my clothes are already handmade… ups. What happened, you will ask? Why don’t you follow your own ideals, you will ask? 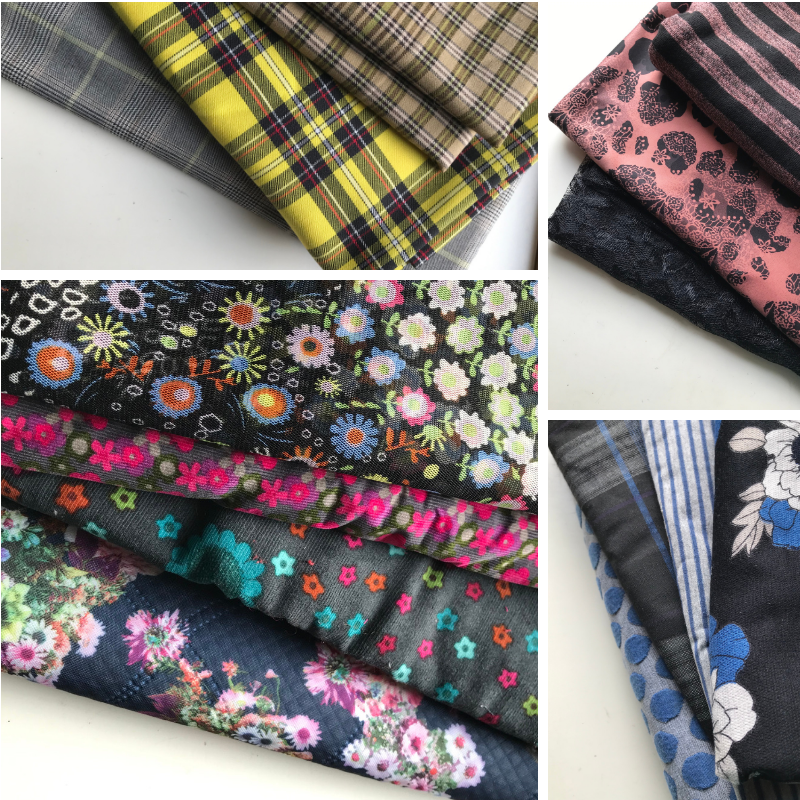 I will answer with a photo of my fabric stash – tada! You see a box full of funny patterns and colors. Every fabric on its own looks lovely (in my eyes) but all together – gag. And this weird mixture has a reason. As you all know I am fairly new to sewing and I am a slow and timid learner. I make so many mistakes and I find it especially hard to adapt clothes to my body type. If I dare to tackle a new garment type for example a simple dress with a wide skirt, I always need several attempts to change the sewing pattern so that it fits my body. And sometimes I fail completely. As I already know this, I mostly use bargain / scrap fabrics for my sewing attempt, so the monetary loss is not too big. Hence the weird fabrics in my box. They are the best I found for less money. But when does this learning stage end? When will I am be able to sew the perfect dress or blouse? After a year of sewing I am still feeling completely incompetent to handle the characteristics of my body. Do you also feel like this? And is there a strategy you can recommend tackling this feeling (or my incompetence)? 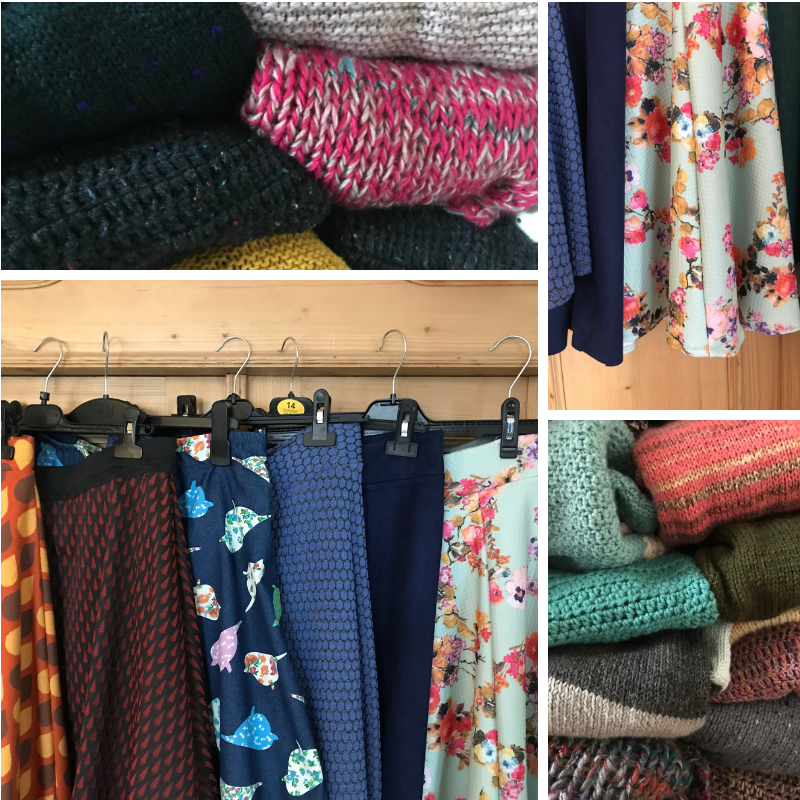 The next problem of my Kraut and Rüben (this translates into ‘cabbage and turnips’ and describes an overgrown ill-fitting chaos) wardrobe is my love of colors. Yes, I love them all, but seemingly I am not able to plan the mixture of my beloved colors. I have made so many knitted and crocheted cardigans over the years and I love them on their own, but mostly they only fit with black…. And not with the funny fabrics you saw in my stash. This color harmonising problem I cannot explain as easily as the fabric problem. Perhaps I get carried away by colourful wool? Perhaps I do not have a good memory of my own clothes? Am I too lazy to plan? Help please!!! How do you plan your handmade clothes? 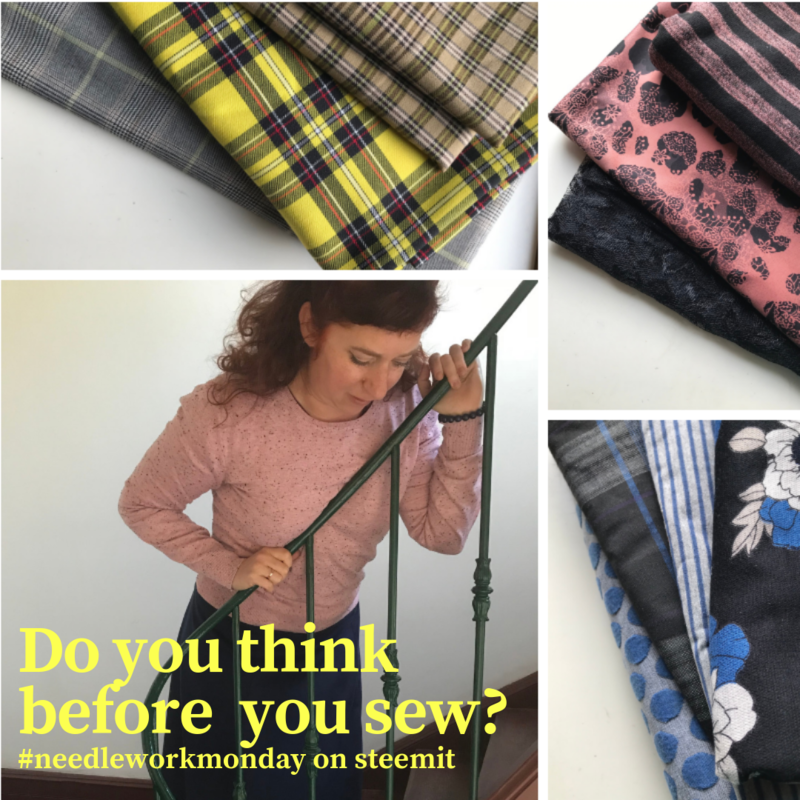 If you want to see more beautiful projects with yarn, fabric and most of all needles, follow @needleworkmonday on steemit. Or even better grab your needles and keyboard and join the #needleworkmonday community. If you want to read all the comments to this post visit my steemit blog.